The leading provider of digital and analog photographic imaging systems, FUJIFILM has announced its new sleek, stylish digital camera – Fujifilm Finepix X100, which combines all the latest digital innovations in a beautiful and traditional chassis. The new Finepix X100 is equipped with an 12.3 megapixel APS-C CMOS sensor, a Fujinon 23mm fixed local length lens, and a newly developed Hybrid 2.8-inch LCD viewfinder. In addition, the X100 will also be able to capture 720p high-definition movies, supports 5 frames-per-second continuous shooting mode, and has lens that uses a 9-blade aperture diaphragm with widest aperture of F2. 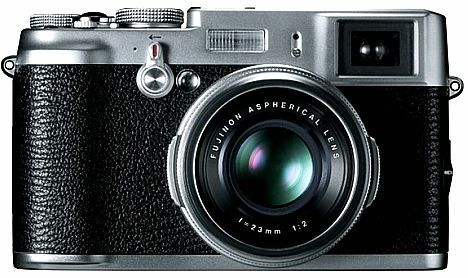 The new compact, ultra-slim Fujifilm Finepix X100 which measures 126 x 74 x 54 mm including lens is expected to be available in coming March 2011 but no words on its price yet.